A real treasure-trove for culture-lovers, the city of Madrid abounds with theaters, libraries, sculptures, and nearly 40 museums, including the world-famous Museo Del Prado, the Museo Nacional Centro de Arte Reina Sofía, and the Thyssen-Bornemisza museum. 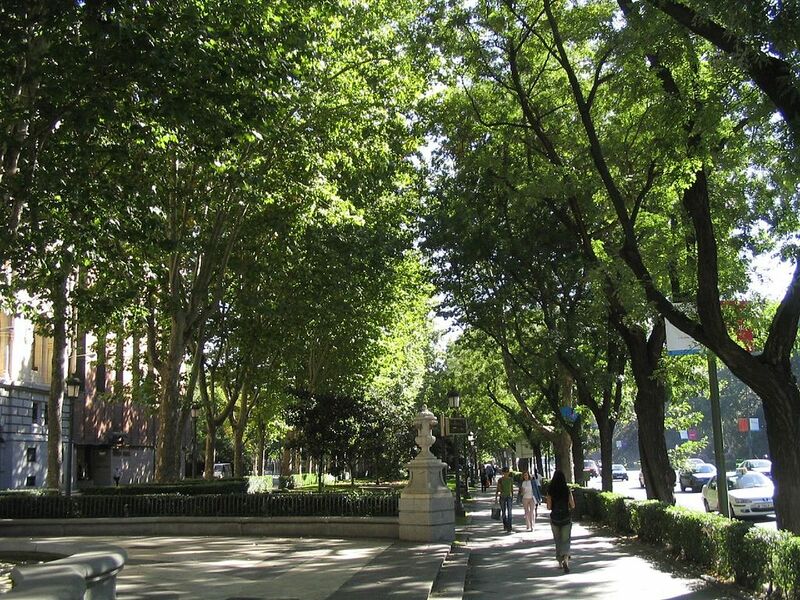 These three institutions are all located by one of the main boulevards of Madrid: The Paseo del Prado, the oldest urban garden in Madrid, earning the area the name of “The Golden Triangle of Art.” Find out more about these three unmissable Madrid landmarks. The “Golden Triangle of Art” received its name through social media; people gradually started to become familiar with the expression, and now everyone (at least in Spain) knows where it is. It runs from Plaza Cibeles at the north to Ronda de Atocha and to Atocha train station to the south. This southern point is where you will find the Museo Nacional Centro de Arte Reina Sofía. Walking to the north, on your right hand side you will find the Museo del Prado, and finally, in the north-western corner of the Golden Triangle, the Thyssen-Bornemisza. In each one of the corners of the Golden Triangle you will find some of the best collections of Spanish and European art visible to the public eye. A visit to either of these three stunning landmarks is sure to be an unforgettable experience and a unique opportunity to immerse yourself in the rich variety of artistic currents and techniques which prevailed throughout the past 500 years of European art. The incredible preservation work of the museums means that these priceless artworks will live on for centuries to come, as a reminder and symbol of Spain’s rich cultural heritage. The Museo del Prado, also know simply as “El Prado” is one of the largest and most famous museums of art in Europe and the world. Inaugurated on November 19th, 1819 with a collection of more than 27,000 paintings, the museum originated from a collection borrowed from the Spanish monarchy. El Prado is by far one of the richest museums in terms of works by the great European masters, especially from the period between the 16th and 19th centuries, and contains works by some of the most well-known and sought-after artists of the era such as El Greco, Goya, Titian, Ruben, Hieronymus Bosch, and Velázquez, including the latter’s most famous work: Las Meninas. Although El Prado is recognized for its impressive collection of works by these great masters, it also has a sizable collection of works by other renowned artists such as Murillo, Ribera, Zurbarán, Rafael, Veronese, Tintoretto, and Van Dyck. In addition to its 16th through 19th century works, El Prado also has exhibitions from different eras, including Greco-Roman sculptures, drawings and prints, and a section of decorative arts known as Dauphin’s Treasure. Watch out for the temporary exhibitions, which display work by both Spanish and foreign artists. During a visit to the Prado, expect to see art students and enthusiastic painters with their tools making copies of their favorite painters’ works. To walk the entire length of its hallways would likely take an entire day to do, perhaps a challenge to some, but one well worth attempting. The Reina Sofía Museum contains a collection dedicated to 20th century and contemporary art, including the world-famous Guernica painted by Spanish artist Pablo Picasso. The large majority of the works exhibited are the creations of Spanish artists, including some of the most famous names of the past century: Juan Gris, Pablo Picasso, Salvador Dalí, and Joan Miró, as well as artwork by other famous international artists such as Diego Rivera. 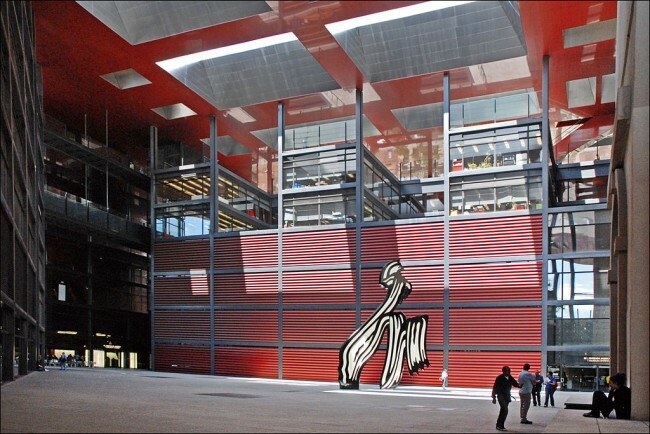 Opening its doors to the public in 1992, the Reina Sofía Museum is located in a building that formerly served as the General Hospital of Madrid; the building received the name of ‘Edificio Sabatini‘ in honor of the architect Francesco Sabatini. The museum also boasts a library open to the public, specialized in art, with more than 100,000 books. In 2001 work began on the construction of an extension designed by the French architect Jean Nouvel. This work finished in 2005 and the structure has since been named the Nouvel building. 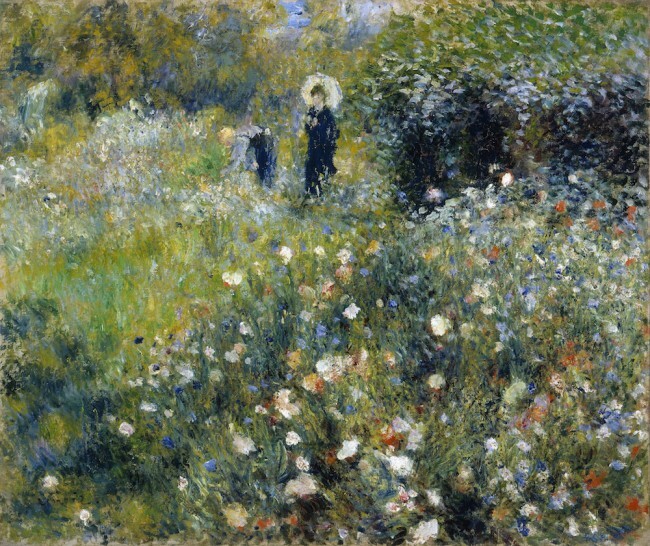 The Thyssen-Bornemisza Museum has its origin in a private collection amassed over nearly seven decades by the Thyssen-Bornemisza family, a financially prosperous family from Switzerland. One of the family members, Mr Hans Heinrich Thyssen-Bornemisza, married a Spanish woman named Carmen Cervera in 1985. 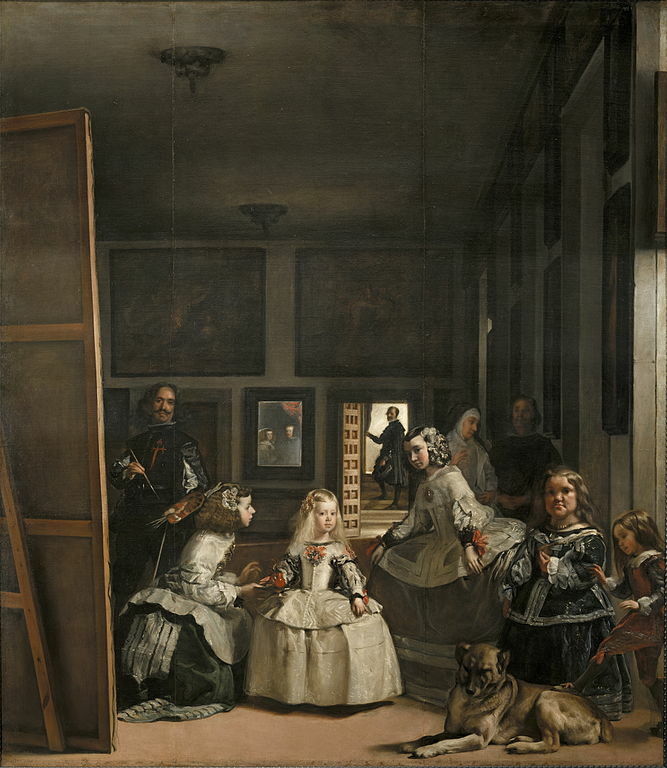 It is believed that this is one of the reasons that, after receiving numerous proposals from various museums around the world, in 1988 Mr Hans Heinrich Thyssen-Bornemisza finally agreed to hand over the collection and signed a contract with the Spanish government. The museum opened its doors to the public in 1992 and at the time there were 715 pieces of art on display. The collection of works on show at the Thyssen-Bornemisza is a great complement to the collections of the Prado and Reina Sofía museums, displaying artists and artistic currents that the others do not, such as Impressionism or Cubism, and Italian and German artists which are underrepresented or absent from the other two. To name just a few of the renowned European artists it features, expect to see work by Duccio, Taddeo Gaddi, Paolo Uccello, Jan van Eyck, Hans Baldung Grien, Lucas Cranach the Elder, Caravaggio, Rubens, Van Dyck, and Rembrandt. The final piece in the puzzle, the Thyssen-Bornemisza truly completes the Golden Triangle of Art.